* Fill cold water in your mouth and then wash your eyes closed and open both ways with fresh cold water and change the water in the mouth after repeating it every 3-4 times and repeat the process at least 2 times. 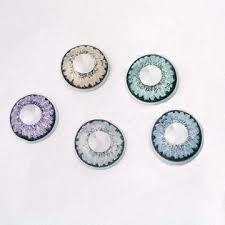 It is most beneficial for those having power or those who use contact lenses. * Avoid wearing contacts for more than 19 hours. This can cause permanent sight damage as well as extreme discomfort to your eyes. Don’t wear glasses too long either. Especially 3-D glasses! * Never sleep with your contact lenses in unless specifically instructed to do so. Your eyes need regular supplies of oxygen, and lenses block the flow of oxygen to the eyes, especially during sleep. So doctors recommend a normal period of break for your eyes during the night. * Avoid wearing your contact lenses when swimming. Your lenses could easily slip off your ideas when they come in contact with the surface area of the water. If you are wearing goggles, your contact lenses may be used while swimming. * Use allergen-reducing eye drops sparingly. Using an allergen-reducing eye drop during allergy season to ‘get the red out’ and sooth itchiness may help on a limited basis, but chronic daily use can actually make the problem worse. * Allergen-reducing eye drops work by constricting the blood flow to the cornea, thereby depriving it of oxygen. So while your eyes don’t feel inflamed and itchy anymore, they’re actually not getting any oxygen from blood. That’s not ideal. * Using redness-relieving eye drops chronically will cause more redness in your eyes. Your body gets so accustomed to the chemicals in the eye drops that they no longer work effectively. 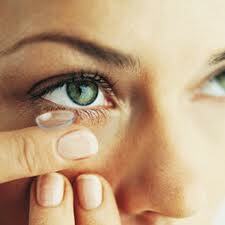 * Dry eye is a condition to which soft contact lens wearers are often susceptible. Dry eye symptoms include redness, itchiness, burning or stinging in the eye and sometimes sensitivity to light. Generally speaking, it feels like there’s something in the eye causing general discomfort. If dry eye persists, consider using artificial tear drops refresh tears or tearplus or Refresh Tears or Genteal or the one recommended by your doctor and not wearing your lenses until the conditions improve. If redness persists, see your doctor, as redness can be a key symptom of eye infections as well. But use the eye drops only in the night while you are not going to use contacts for next few hours. *Wear your lenses only as long as you are directed to. 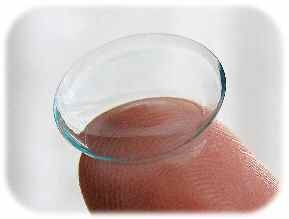 Lenses meant to be worn for only 2-4 weeks should not be worn for two months. Dirt and protein deposits accumulate on the lenses and this may cause irritation, eye infections, or permanent damage your eyes. *Put in contacts before applying makeup. This will make it easier to avoid contamination. And remove your contacts before removing makeup. * Use a re-wetting solution or plain saline solution to keep your eyes lubricated. *Replace your contact lens case every two to three months. “Lens cases get dirty, just like a toothbrush,” says Steinemann. * Read the labels of eye drops carefully; many drops cannot be used while wearing contacts. Stretch your arm out and place your thumb in the hitchhiker position. Focus your vision on your thumb while you slowly bring your outstretched arm closer to your body, until your thumb is about five inches from your face. Slowly zoom the thumb back to its original position, focusing on it with your eyes all the while. Try focusing your eyes on objects that are near to you, then objects that are far away. Repeat this process multiple times. Sit down, place your elbows on your hips, close your eyes and bring your closed eyes down, resting them on your palms. Keep your palms covering your eyes for 10 seconds. Open your eyes and repeat as necessary.